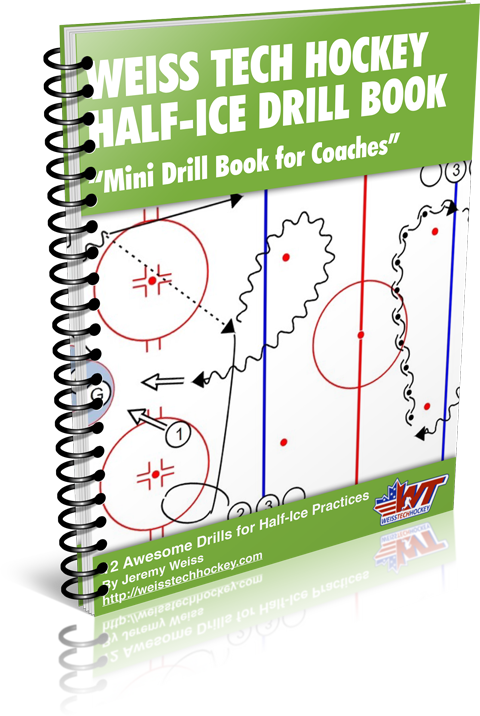 This is another one of my favorite 1 on 1 hockey drills. 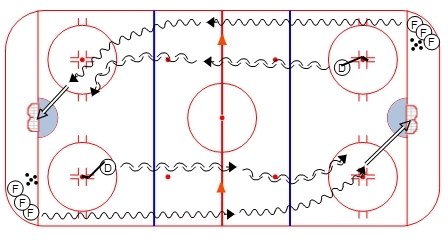 The set-up is very simple, but there are SO MANY important concepts that can be worked on… it is VERY effective! 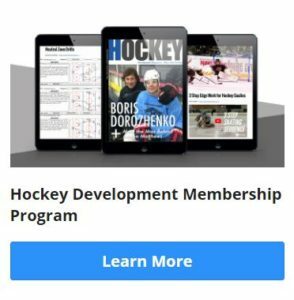 Don’t let your defensemen complain that the drill isn’t fair––by the end of the season, EVERY defenseman should be able to keep up with the forwards. They’ll have to do this in the games… might as well work on it in practice!! 1. 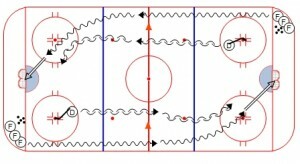 (F) starts in corner with puck – one skate behind the line!